In order to increase security of your local and wireless network, it is advised to periodically change the passwords you use on your network. Open your web browser (e.g. Internet Explorer, Chrome or Safari). 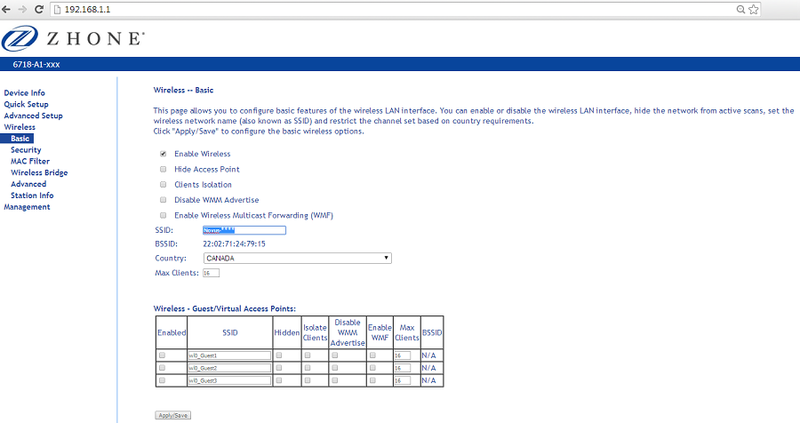 In the address bar, enter the IP address for the modem (typically 192.168.1.1). Enter the username and password when prompted (by default both username and password will be “user”). Log into your modem following the steps above. Click “Management”, then “Access Control”, and finally “Passwords”. Enter the current user password beside “Old Password:”. The default is “user”. Type your new administration password beside both “New Password:” and “Confirm Password:”. Ensure you note down the password as you cannot review it later. Click “Apply/Save” after entering your new password. Type the new name you would like for your wireless network beside “SSID:”. Click “Apply/Save” after choosing your new network name. If you are connected wireless to the modem, you will need to reconnect to the new network after saving. 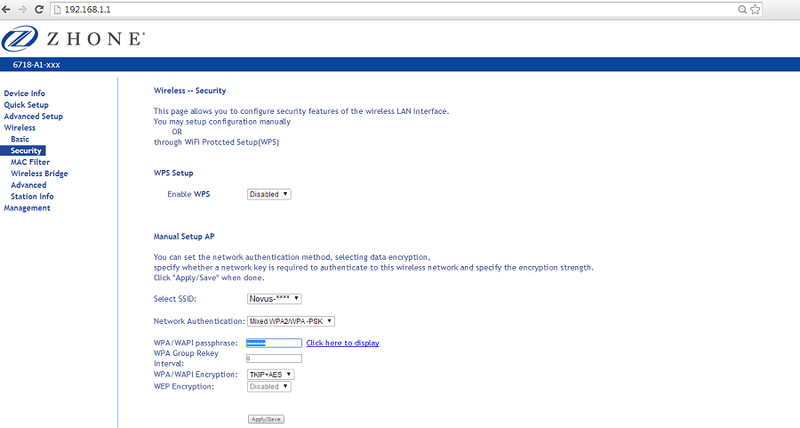 Type the new passphrase you would like for your wireless network beside “WPA/WAPI passphrase:”. You can review the passphrase by clicking “Click here to display”. Click “Apply/Save” after choosing your new passphrase.